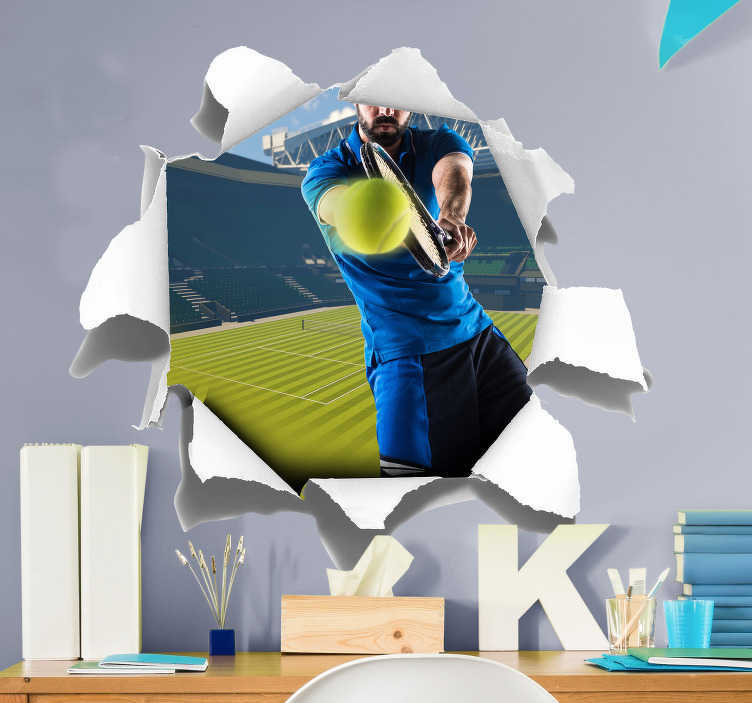 Visual effect stickers are always in fashion, which is why this Tennis sticker in particular has our design team extremely proud of their creation! Depicts someone hitting a backhand, with centre court in the background. We know that you can only wear white at Wimbledon - But doesn´t the blue just look superb!